It's not surprising that some of the states in Central Asia spy on people. Authoritarianism across the world relies on the intrusion into, and lack thereof, of a private sphere. From the KGB to their modern incarnations, the autocracies in the region continue to rely on state surveillance and other entrenched means of political control to stay in power. New technologies and communications means, heralded as great tools of progress, are being met the world over with censorship and surveillance. At best this minimises the utility of these technologies; at worst, it turns them into tools for unprecedented state spying and repression. What may be somewhat surprising in Central Asia is the sophistication of some of the surveillance technologies that are being used, and the amount of foreign companies supplying them. 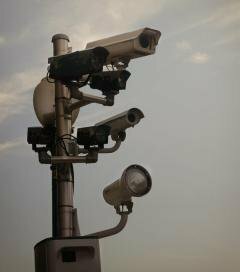 An investigation into surveillance in Central Asia conducted by Privacy International–the findings of which were recently released–raise serious questions as to how democratic progress stands a chance at all in Central Asia in the face of such a comprehensive system of political control facilitated by state surveillance. It also exposes the complexities, dangers and unaccountable nature of a private surveillance industry, and the governments and companies that facilitate their activities. There is a growing but intentionally murky and unquantifiable private industry that is selling technologies to governments to allow them to monitor individuals and society. Initially developed and traded from countries with significant ICT (information and communications technology) and security sectors, these technologies are used across the world by law enforcement and intelligence agencies to listen to phone calls, read emails, view individuals' web history, and gain a complete overview of their social connections. Some technologies allow authorities to turn on the webcam and microphone of a device. Its growth is being driven by two factors. As more data about everyone's lives are transmitting somewhere across networks or are being stored in devices or servers, it greatly increases the intrusive and revelatory nature of surveillance and its appeal to governments and the security industry. Secondly, as networks and devices are themselves spreading and become increasingly sophisticated, authorities are seeking new and advanced solutions for accessing them. The outcome of this growth–combined with outdated legal regimes incapable of regulating the use and sale of many of these technologies–is an unaccountable industry facilitating unaccountable surveillance practices. In many respects–and similarly to other places across the world–the legal framework governing electronic surveillance practices in Central Asia is either inadequate, nonexistent or not in compliance with international human rights standards. A lack of transparency within the industry itself, reliant upon non-disclosure agreements, undermines any form of accountability. This has predictable consequences. In Uzbekistan, testimonies show how human rights activists’ emails and calls are being targeted by what is believed to be their own government in an effort to monitor and silence them and their activities, in some cases having transcripts of their communications presented to them and receiving visits from security forces following phone calls. One activist, Mutabar Tadjibayeva–now based in France–details her repeated interrogation by Uzbek agents after discussing the infamous 2005 Andijan massacre over the phone. What modern surveillance techniques allow however, isn't just an insight into an individual, but that of their entire network, and of society itself. Understanding how authorities obtain these capabilities is key to finding potential solutions in what is a technical and complicated area. There are various technologies identified as having been sold to the region which would allow authorities to do this. In one of the most glaring examples, two NASDAQ-listed multinationals operating out of Israel have supplied sophisticated spying technology directly to the secret police of Kazakhstan and Uzbekistan. Verint Israel and NICE Systems have both supplied facilities in these countries from which agents of the SNB in Uzbekistan and KNB in Kazakhstan–the two successor agencies to the KGB–receive, request and analyse intercepted phone calls, mobiles calls and internet data. These monitoring centres aim to allow analysts of two agencies well documented as involved in widescale abuses of human rights access to the communications of every person living in the country. Verint Israel even attempted to facilitate the Uzbek SNB trying to crack encrypted secure web traffic such as banking and emails. The purchase of these technologies isn't simply a one-off; both companies have had surveillance related project in the countries since the early 2000s, and in addition to the technology itself, provide training, maintenance, and technical support. Large multinational telecommunications companies also provide Central Asian governments with surveillance capabilities because of legal mandates placed upon them in order to operate. Across Kazakhstan, for example, a series of monitoring points exist which facilitate access and interception of communications. In some cases, this architecture allows the authorities direct access to telecommunications networks without any form of oversight by judicial bodies or the telecommunications operator itself. This means that equipment and services provided by large multinational vendors and operators is being used for surveillance with their knowledge and assistance. The ability to communicate freely and use modern ICTs free from state surveillance is essential to ensuring economic, political, and social progress in places such as Central Asia. Ensuring that this isn't destroyed by modern surveillance techniques requires a multifaceted approach involving technological, policy-based and legal solutions. At a minimum, it requires that international bodies and governments must not approve the export of technologies the use of which risks undermining human rights. But the private sector itself must also act. It should not be left up to governments to regulate trade; commercial actors must ensure that their activities and sales do not undermine international human rights, and that their customers data is free from arbitrary or illegal state surveillance. There of course exist many disincentives for this. Central Asia is not alone in having systems for electronic surveillance of communications. As the Snowden disclosures show, even liberal democracies with established systems of oversight are engaging in state surveillance on an unprecedented scale, and on a highly dubious legal footing. But 'what-about-ism' does not detract from the fact that the wrongdoing of one party does not legitimise that of another. For too long in Central Asia, energy, economic, strategic, and security interests have meant that foreign governments have substantially ignored human rights abuses and democratisation as priority areas in the region. Indeed, many foreign interests can be guaranteed by regime stability. As terrorism and trafficking–two legitimate issues in the area–are prioritized, and as economic opportunities present themselves, the incentive for governments to allow or actively promote state surveillance capabilities will only grow. This however would be woefully short-sighted. Effectively countering such issues is best done across the long term through democratization, ensuring representation and economic rights, good governance, and respect for human rights. Security, far from being something which needs to be balanced against these, is something that is intimately linked. Enabling authorities such as those in Central Asia with highly-revelatory surveillance capabilities will only enable political control and all but crush individual privacy–along with political and social progress.